Illrymz was born by the name of Olowu Bordia Adebola on 3 December 1985 to a Yoruba father and a Persian mother. He has made his mark as one of Nigeria’s top urban TV personalities, by hosting high profile Red Carpet events, presenting the Global Countdown show, Sprite Triple Slam, and One on One and is the current host of Nigerian Idol. 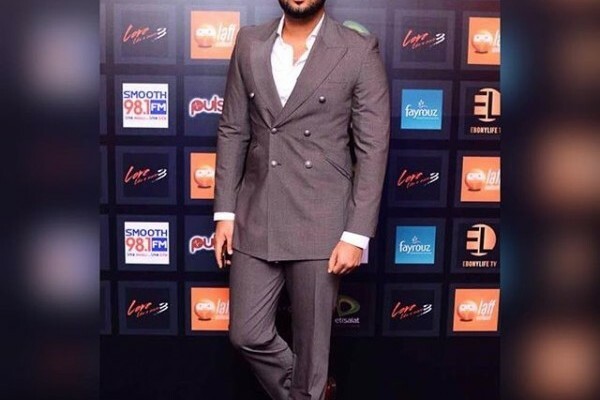 The 30-years-old dapper artiste has definitely brought some charm and class to the Nigerian entertainment industry. 1. Illrymz was born by the name of Olowu Bordia Adebola on 3 December 1985. He was born to a Yoruba father and a Persian mother. 2. At the tender age of 3-years-old, he was already a baby model for an American beauty product. He also joined the local church choir and played a leading role in the church drama. He attended the King’s College School in Lagos. 3. He worked on a radio commercial for “Gold Circle Condoms” and also got the chance to meet with Emmanuel Essien best known as “Mannie”. 4. He was part of a gospel group called “SOL” which consisted of himself, Mannie and Leo Abulu. 5. He had his first moment of fame when he appeared in the television and print commercials for Coca-Cola in 2003. 6. He studied Mass Communications in the University of Lagos in 2006. He released his first solo single titled “No Mago Mago” produced by Papilastic in the same year. The single topped many music charts in Nigeria. 7. He made his television debut as the host of the show “Nokia First Chance” in 2007 and the following year he signed a television deal with Soundcity. 8. In 2009, he produced and presented the most watched Soundcity program titled “The Nokia Express Music Show”. 9. He has interviewed prominent names like Ja Rule, Nas, MIMS, Wyre, Sean Kingston, SWV and Freshly Ground to name a few. He has also produced radio commercials for top brands like Nokia, Airtel and Chicken Republic. 10. He re-branded himself as “The Big Homie” and launched his own independent radio show sponsored by Nokia and in 2012, he released his first official single titled “Teacher Teacher” which featured the legendary, Femi Kuti.